While I was staring out of the window of my workshop, hoping that we would get some snow today, I noticed the box of old horseshoes, that my neighbor gave me, sitting on my workbench. They got my mind thinking about what else I could make with them. 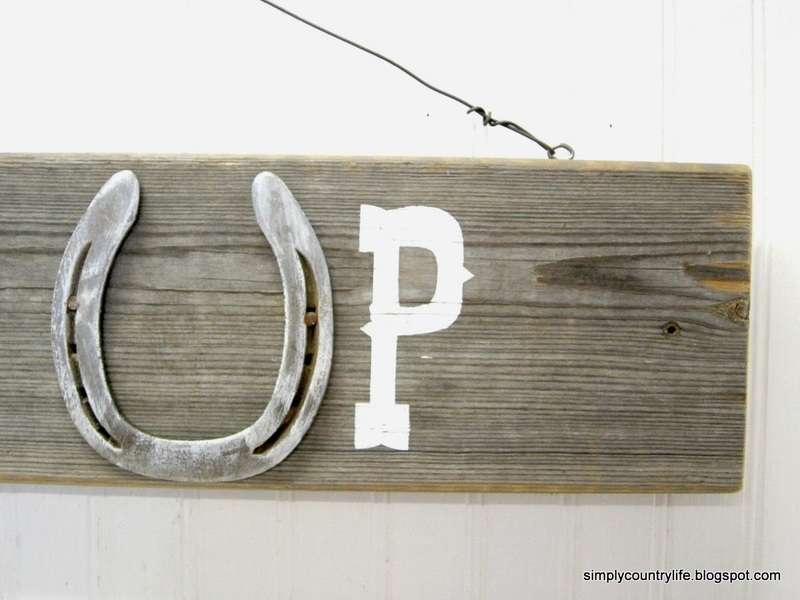 With St. Patrick's Day coming up, I had the inclination to make a sign that said LUCKY, using one of the horseshoes as the U. but then, I thought, what about a sign that said COWGIRL UP. That would be more my speed. Don't get me wrong. 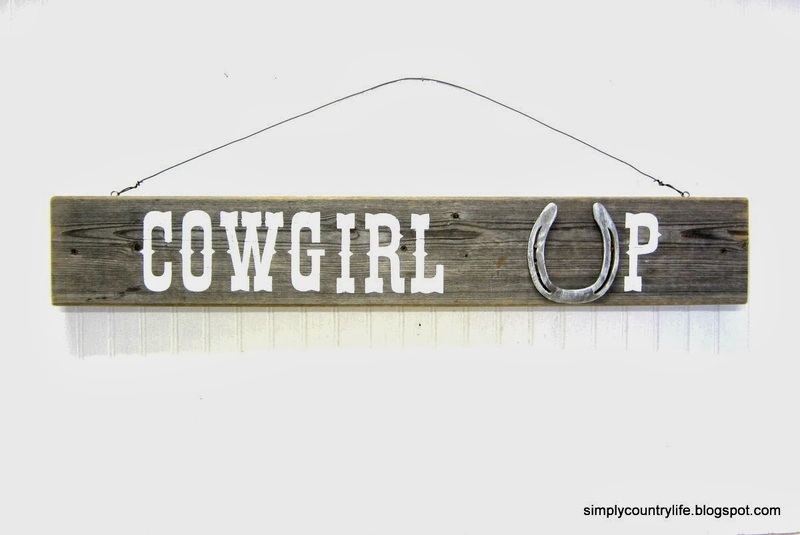 I'm not a cowgirl, unless owning a few pair of cowboy boots and line dancing qualifies. I cleaned up a piece of barnwood that I had leftover from building the kitchen cabinets in our cabin. Then, using my Silhouette Cameo machine I created a stencil for my lettering. then painted the letters white. I sanded the dry letters a little to give them a distressed look. After cleaning the horseshoe and grinding the tabs off of the back of it, I wiped a little white paint on it and nailed it in place. Next, I added two eyelets in the top of the board and twisted a rusty wire onto them to create a hanger. Now it just needs a coat of clear matte finish on it for protection. I'll have to wait for a warmer day, so that I can spray the finish on. so check back in a few weeks for that one. It has started to flurry outside. I hope it keeps it up for a while. I think I'll go in the cabin now and curl up in front of the fireplace. or are you blessed with warm temps right now? Looks great! I love my Silhouette, too. 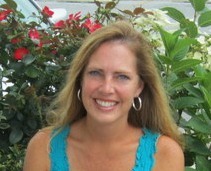 I blog a lot about it! Thank you for the compliment. I'll be right over to check out your blog and link up. I can't wait to see your Silhouette projects.